The Labor Day weekend traditionally marks the end of summer and heralds the upcoming fall season. Labor Day in the Albuquerque, New Mexico, area ushers in special festivals and events where you can try some delicious New Mexico wines, microbrews, chiles, or exotic concoctions of foods on a stick. 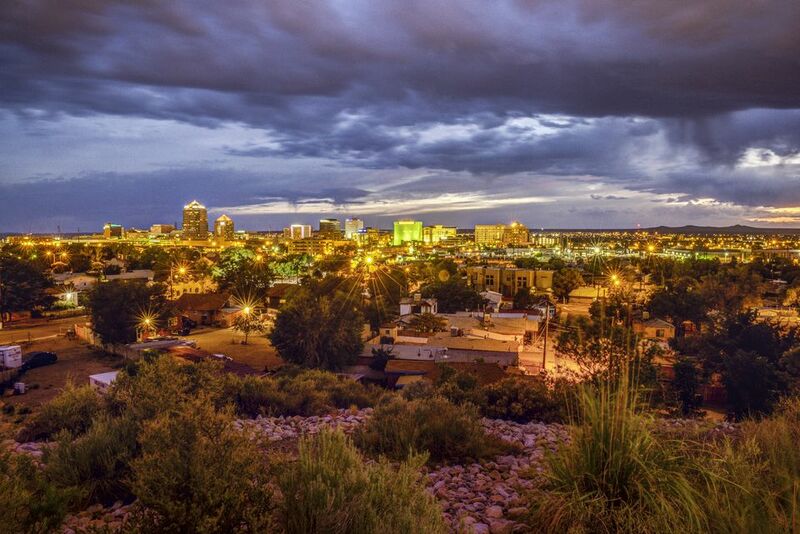 Check out the fun that awaits you within Albuquerque, Santa Fe, Hatch, and the surrounding areas. Every year, Zozobra, a monstrous marionette, goes up in smoke in Fort Marcy Park in Santa Fe, New Mexico. The burning of "Old Man Gloom" is an annual event in Santa Fe that kicks off the annual fiestas of Santa Fe, which welcome hope and happiness. Santa Fe is about an hour-long car ride north of Albuquerque. You can take the Rail Runner commuter train for about $10 round trip. Or you can drive, park downtown, and take a shuttle. Uber and Lyft are also available. For those who can't make it, you can watch Zozobra burn via the internet. At the Harvest Wine Festival in Albuquerque, you can try more than 100 wines from the state's top wineries while listening to live music and sampling some tasty food. There are arts and crafts vendors and bottles sales for those who like what they taste. The festival takes place at Balloon Festival Park starting the Saturday before Labor Day through Monday. Tickets are available online. The annual Mountain West Brewfest takes place at Loretto Park in Bernalillo, New Mexico, about 20 minutes away. It usually occurs on Labor Day weekend, but may sometimes shift weekends in August or September. Admission includes a complimentary glass for sampling wine and beer plus sample tokens. Take the Rail Runner commuter train system or Uber to and from the festival. Enjoy live music, barbecue, and some great craft brews from New Mexico distilleries and breweries. This is a ticketed event. The annual Food on a Stick Festival takes place at ​Cliff's Amusement Park in Albuquerque. Enjoy on-a-stick treats such as sausage, jerk chicken, banana and cheesecake, jalapeno poppers, bratwurst, frozen pickles, and more foods that it takes only one hand to eat. In addition to vendors serving food on a stick, admission includes musical performances, a carnival ride pass, and access to waterslides. Advance tickets available online. Celebrating chile in every form, the Hatch Chile Festival in Hatch, New Mexico, which is two-and-a-half hours away, but worth a car rental to get chiles fresh from the source. The festival features world-famous Hatch chile recipes, arts and crafts, contests, and a carnival with rides. Festival-goers can sample the famed chiles, watch the crowning of the chile festival queen, or toss horseshoes. Every year since 1987, the Cleveland Roller Mill Museum has hosted the Cleveland Millfest on Labor Day weekend. The museum is an early 20th-century adobe roller mill. The event includes mill history exhibits, arts and crafts, food, music, and more. You can take a tour to see this three-story, water-powered flour mill in action. The arts and crafts fair is free, but there's a fee for parking at the mill and if you want to visit the museum. Cleveland, New Mexico, is two hours and 45 minutes away by car. While in the area, stop by the nearby historic Salman Ranch in Mora to pick fresh raspberries.